So — how was your Thanksgiving? Was it full of lots of warm family time, sharing family jokes, looking at old family photos and making new memories? What, no? That wasn’t what happened? Did you decide to skip the cooking and go out to a very noisy restaurant where you plopped iPads in front of your kids to keep them happy between courses? Or — maybe you slaved over the stove all day and — while everyone watched the football game – you plopped your kids in front of iPads so you could cook and serve? Or — just maybe your family did manage that iconic game of outside family football – and then— all return to check your iPhones in the bathroom? No judgment here, just an awareness of how the world is changing. Despite the increased sense of virtual connectivity that we all enjoy from our use of internet, smart phones, iPads, etc (trust me, I couldn’t live without it either) we are increasingly feeling isolated and empty. And physically restless. In a brilliant piece written by Diane Ackerman, one of my favorite authors, she discusses how the digital world is seriously having an impact on evolving brains as well as our relationships to one another. To stay emotionally connected, make sure your child isn’t learning about their world through only pixelated images. Sensory impoverishment accompanies the digital world which changes the way we relate to each other, our world and our internal sense of belonging. GO outside on adventures with your kids. FEEL the sand, the rocks, the wind. MAKE time for actual interconnectedness – strong hugs, hand holding, wrestling and stroking those soft little heads. SNIFF the scent of those babes and let them breathe you in too. LAY in the grass or the snow and look at the sky together. ROLL down a grassy knoll or roll in the snow. LAUGH a lot together, make time to be silly. Here’s hoping your holidays are joyous! In times of difficult emotions, it’s important to know that psychotherapy can offer transformational change and emotional growth. I wanted to share this moving article from this week. A recent consult I did illustrates the intrinsic rewards of healing involvement and intimate connection. It also taught me that anything is possible—that even the bleakest sessions can have a positive outcome if you stay with the process. This was published in Huffington Post (9/19/14). As parents of atypical children need to monitor and manage their stress, these tips are good reminders. Read on for stress busting recommendations. Ever felt like you just can’t unwind after a demanding week? That’s because stress triggers your body’s fight or flight response: your adrenaline starts pumping, your heart beats faster, and your blood pressure rises, explains Ash Nadkarni, M.D., an associate psychiatrist at Brigham & Women’s Hospital. “Long-term overexposure to stress hormones can cause increased risk of health problems such as anxiety, depression, heart disease, weight gain, and memory and concentration problems,” Dr. Nadkarni adds. That’s not exactly a relaxing thought. So what should you do when calming classics like downward-facing dog and chamomile tea don’t work? 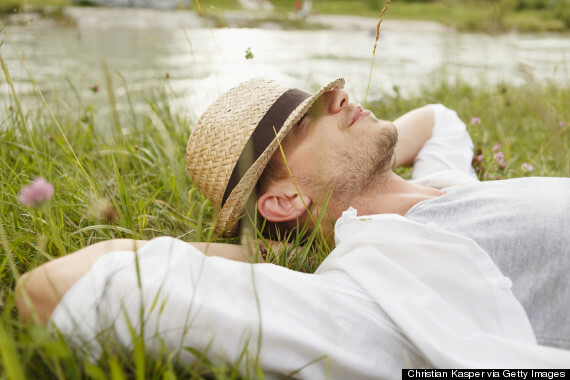 Check out these alternative ways to de-stress recommended by experts and recent studies. Consider that caffeine takes 20 minutes to be metabolized for you to feel its effect. During that time, think about your goals for the day or read something inspirational. You might find that your normally crazy day goes a little smoother. Research suggests that warm colors like red excite you and cooler, muted colors like blue, green, or grey relax you, says Molly Roberts, M.D., president of the American Holistic Medical Association — but surrounding yourself in any color you find soothing can help bring on calm. “The theory behind the use of color therapy is that colors enter the eyes, which then send messages along the nerve pathways to the area of the brain that regulates emotion,” Roberts says. “There are a lot of ways to surround yourself with colors that can ease stress throughout the day.” Her suggestions: at home, paint an accent wall; and at the office, drape a soothing-colored scarf over the back of your chair and change your computer screensaver. Clean out your junk drawers. When you’re feeling emotionally drained, chances are whipping out your Swiffer is the last thing you want to do. But the truth is, tidying up your home can also tidy up your mind. “Having a mindset of de-cluttering helps to manage stress,” says Lauren Napolitano, Psy.D., a psychologist at Bryn Mawr Hospital in Pennsylvania. “Purging unused items gives a sense of order to your physical environment, which helps you feel calmer about your stressors.” She suggests starting with a small project, like your kitchen junk drawer. “Tangible or visible organization leads to emotional organization,” Napolitano says. If you’re ready to take it up a notch, schedule monthly donation pickups with Goodwill to keep yourself in the de-cluttering habit. Your coworker just threw you under the bus. Your husband forgot to walk the dog. When it’s that kind of day, try thought diffusion, “a sort of visual mindfulness meditation, a way to sweep out whatever is buzzing around unhelpfully in your head,” says Erin Olivo, Ph.D., an assistant professor of medical psychology at Columbia University and author of Wise Mind Living: Master Your Emotions, Transform Your Life. Here’s how it works: Imagine your thoughts are like clouds in the sky, and let them drift by above you. “When you begin to observe your thoughts as mental objects that simply come and go, they become less unpleasant, less threatening and less emotionally powerful,” Olivo says. There’s a reason Buzzfeed links are popping up all over your newsfeed. There’s nothing that will relieve some tension like watching a baby masterfully dancing to Beyonce or a cat riding a Roomba in a shark costume. The next time you’re feeling strung out, start belting it out. As sound reverberates through the body, your mind relaxes, whether singing in a chorus or meditatively chanting om, says Rita Eichenstein, Ph.D., a neuropsychologist at Cedars-Sinai Medical Towers in Los Angeles. Singing has even been found to reduce levels of cortisol (the stress hormone) in the body, and one case study revealed that singing prior to surgery reduced blood pressure (more research is needed). Not ready to unleash your inner Rihanna? Start by singing in the shower. “Singing tunes you love brings up positive memories and takes your mind off the stressors,” Eichenstein says. We’ll admit it: stickers and colored construction paper seem so kindergarten. But getting in touch with your crafty side has mental health benefits. Think of it as your adult playtime. “Scrapbooking helps you focus, which diverts you away from stressful and difficult emotions, and also helps you feel connected to the people you’re scrapbooking about,” says Nina Savelle-Rocklin, Psy.D., a Los Angeles-based psychotherapist. And no, Pinterest boards don’t count. “There’s something about the tactile element of scrapbooking — cutting, pasting, positioning — that is probably more relaxing that posting online,” Savelle-Rocklin adds. Pick up a physical hobby. 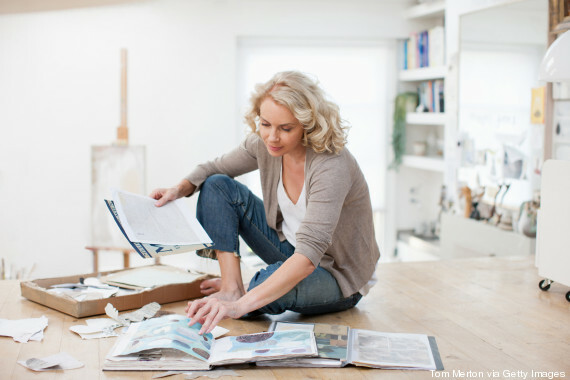 If scrapbooking isn’t your thing, try to find another activity to occupy your time. “What stress does to someone’s mind is flood it with thoughts,” explains Nadkami. “All of these thoughts knock about your head and they make you feel overwhelmed.” Sound familiar? The best way to stop the stress spiral is by refocusing your mind on one thought: Gardening focuses you on the physical feeling of the soil that you can hold in your hands. Knitting concentrates your thoughts on the predictability of loops of yarn. “The important thing is that you channel your energy into one thing and this, in turn, relaxes your mind by eliminating all of the distracting stresses,” says Nadkarni. Clench your muscles (then release). This technique was developed in the 1930’s and has been recommended ever since. “The idea behind progressive muscle relaxation is to first create muscle tension, then relaxation, to provide physical relief. A relaxed body often leads to a relaxed mind,” says Savelle-Rocklin. Start by getting into a comfortable position, like lying down in loose clothing. Tense and relax each muscle group for five seconds at a time, starting with your forehead, then moving down to your eyes, lips, hands, forearms, shoulders, back, stomach, hips, thighs, feet and, finally, your toes. If any muscle remains tense after the sequence, tighten and relax it three or four times. Massage, shmassage. Write mental thank you notes. Change the course of your stressful thoughts with a form of cognitive behavioral therapy, suggests marriage and family therapist Alisa Ruby Bash, who practices in Beverly Hills, California. 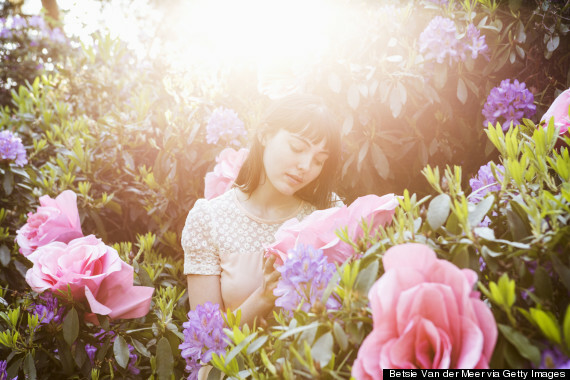 “Before stress gets worse, it’s so important to learn to harness your thoughts,” she says. “For example, when you notice the tension in your body, picture a big red stop sign. Immediately switch your thinking to start mentally focusing on all the things you are grateful for. Look around you to include anything you find beautiful or pleasant in your present moment.” Store a gratitude list on your smartphone so you can reference it any time things get hectic. You’re stuck in traffic and feeling like you’re going to explode. Time to try pressure point therapy, a form of acupuncture you can practice on your own. “Pressure to certain points on the body can help to release muscular tension and promote blood circulation,” says Mielcarski. It’s easiest to start with the Third Eye Point, the space between your eyebrows where the bridge of your nose meets your forehead. Place your middle and index finger on it and hold the position for one to two minutes using gentle to firm pressure. Parents, Here Are Your 6 Teachable Moments! In everyday life, the challenge for parents is to recognize teachable moments and follow through. It’s not really a matter of waiting until your child is ready to grasp the lesson. It’s a matter of repeating the lesson so often that, sooner or later, it sinks in and becomes second nature. Here are the skills I believe parents of atypical kids should try to teach their children, along with the right moments to do the teaching. Your teachable moment: BEFORE your child is approached, remind your child what is expected. SAY: ‘Neighbor Joanie is walking over to us, remember to look her in the face and say hello’. If your child is not doing so, don’t be shy, say it aloud: “Look her in the face and say ‘Hello’ ! Good for you!” Every child is capable looking someone in the eye when they are introduced, even if it takes years of training. Don’t hesitate to keep reminding. 2. Manners: Every child is capable of saying please, excuse me and thank you—again, even if it takes years of training. Your teachable moment: Every single time your child asks for or accepts any item, task, or favor. Also: You must model this behavior by saying please and thank you yourself, every single time. Your child can learn to do this, and it will make so much difference later on in his or her life. 3. Simple conversation skills: Your child should be able to hold up his or her end of a basic conversation, including asking questions: How are you? What do you like to do in school? Who are your friends? What are your hobbies? Your teachable moment: Driving in the car is a great time for parents to rehearse these conversations with children so they are at ease with the questions and ready to roll. They can help you make up the questions and, of course, they get to answer the questions too. Model having back and forth conversations with imaginary people or friends, don’t hesitate from adding some humor to it, kids love to laugh at absurdities, like what to say to Mr. Elephant at the zoo or Mr. Ralph who, of course, owns Ralphs grocery store. 4. Planning and organizational skills: How to clean out a backpack. How to neatly put papers in a folder without them getting crinkled. How to lay out clothes the night before (also builds good planning skills). How to prepare lunch with their parent the night before. Your teachable moment: After homework is done but before TV privilege time. Now is the time to run through all the necessary prep work for the next day. The trick is forcing yourself to take the time to teach these skills in a patient and relaxed way at the end of a long day. It’s always so much easier just to do it yourself, right? Don’t! Your little Johnny needs to pack up his own backpack and put it right by the front door all my himself. He can do it! 5. Nutrition: Children must eat foods that are not white. I lost count as to how many parents have told me that their child will only eat exactly 3 foods, over the years. How did that happen? Eating a healthy diet is the most important brain-building activity. Your teachable moment: Start young. Give them nutritious food before they have an opinion. The world of natural food is delicious! Whole Foods offers cooking classes for kids or you can buy simple cook books with pictures and experiment. Do not succumb to every plea for orange-dyed snacks, and oversalted, oversugared pseudo-food that only benefits food industries but certainly not your child. DO NOT. EVER. PLEASE. 6. Entertainment: Do not introduce your child to iPads or iPhones until at least age 5. You have control until then. Use your parental control and your wisdom. Please. One parent I know equated the iPad to vodka for an alcoholic. It can be that addictive. Why would you want to do that to your child? From age 0-5 is the time for a child’s sensorium to develop, including sensory relationship with the world. That does not include using a finger to swipe for immediate gratification, but does include crawling, touching, tasting, sensing and interacting with real people in real time. Your teachable moment: Any moment when you are stressed and it would be so much easier just to hand over the device. No, make that BEFORE you are stressed. PLAN AHEAD. Are you going to be in the car for a long stretch? Doctor waiting room? Long meeting? Long car pool line? Remember drawing on a scratch pad with crayons? Picture books? CDs? If you can’t listen to Radio Disney for one more second, try movie soundtracks or children’s classics like “Peter and the Wolf.” Plan to have conversation topics or plan songs from your childhood to teach your child while waiting. Teach them finger games or other ways to entertain themselves for those few minutes. There are many more teachable moments that are available to parents if they can be mindful and alert to their children’s behaviors. 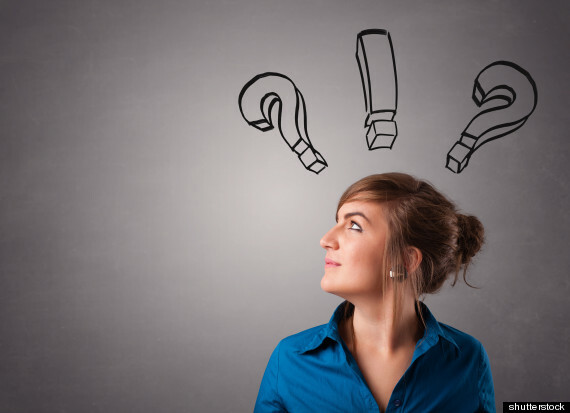 What are some teachable moments that have worked for you? When Is “Too Much” Just Enough? Umbrella parents always know when the rain is coming, and are ready with a metaphorical umbrella. They are doing what it takes to get their kid through the day. Sometimes “too much” is just enough. Instead of helicopter parents or smother mothers, I like to refer to these devoted moms and dads as umbrella parents. Good parents know what their children need, anticipate those needs, and take action. They are like weathermen who know when the rain is coming and are ready with a metaphorical umbrella. When a child is diagnosed as atypical, I always explain to parents that they will need to be more attuned to the child’s needs than the average parent, at least for a while. Helicopter instincts are a very practical response to dealing with your special needs child. Why? Because most atypical children experience some impairment and delay of their executive function. Executive function is a broad term for the process that takes place in frontal lobe of the brain: the ability to anticipate, plan, problem-solve, organize, and self-monitor one’s social behaviors. That pretty much sums up the job description of a parent, doesn’t it? When parents know that their children will have problems in particular areas, not only is it important to intercede, pave the way for them, and inform those adults who teach them, it is critical. Teachers and coaches are busy running programs with lots of kids, and the problems of a single child just don’t stand out—until they do. At that point, how the coach or teacher treats the child can lead to a series of humiliations, unfortunate discipline tactics, and subsequent self-esteem problems for the child. Coaches, counselors, and some teachers can be too aggressive in their tactics unless they are informed and instructed about better methods to deal with a child who is different. So parents, do not hesitate to be your child’s advocate! Stand up, call it out, pay no attention to the other parents who think you are helicoptering. You are protecting your child! Who? Who should be in the meeting? When you ask to meet with the teacher, coach or activity leader, it’s best if you bring along backup. The more people to support you, the better. A spouse, neighbor or even your child’s therapist. There is strength in numbers; moms rarely get heard as well as a professional who is saying the same thing. What? What should the parent bring to the meeting? A note from a doctor or a one page recommendation list could help the process. For example, a note could say: “Andy suffers from an auditory processing disorder. This means that he may not hear your instructions the first time. Please do not yell at him for this, but do repeat it a few times if he seems confused. You could also meet with him before the game to see if he has any questions.”You could also attach a brief printout about the disorder for him to read. Note that what the doctor is saying is exactly what you will say, but somehow the doctor or therapist note provides more weight to your requests. When? When should the meeting take place? The earlier the better. I often advise parents to meet with teachers a few days before school starts to debrief them on your child’s needs. Depending on how many adjustments your child needs, you may want 15 minutes up to a half hour.Ask the teacher for “15 minutes of your time” just to briefly explain the situation and why you, the parent, will be hovering a bit throughout the year. Why? 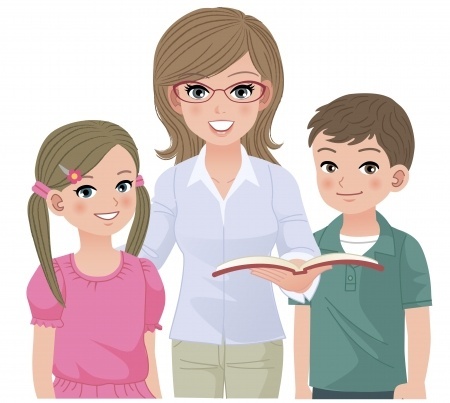 The point of this first little meeting is to set the stage with the teacher, explain what the situation is, and communicate that you are a calm, attentive parent and want to help the teacher so that your child is not disruptive and also is getting what he or she needs. Stay tuned for my next post, when I will talk about the flip side of umbrella parenting: over-indulging your kid, soothing your own nerves instead of his, and when and how to let go.